There’s a new McDonald’s branch in town and it’s not like any other in the country. Its façade looks very much like a regular McDonald’s restaurant but a closer look reveals a kid-sized kitchen with young crew members having fun while making and enjoying their own McDonald’s Cheeseburger. Welcome to McDonald’s KidZania! 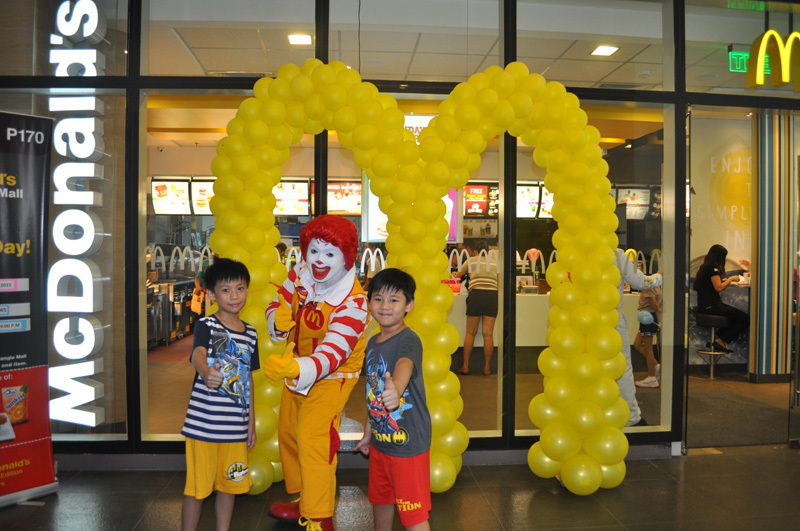 It’s a unique branch inside the educational play city where kids 4 to 14 years old can experience the delight of preparing one of McDonald’s all-time favorite treats, its iconic Cheeseburger. At every visit, kids will put together all of its tasty ingredients—100% pure beef patty, a slice of American cheese, tangy pickles, minced onions, ketchup, mustard, and perfectly toasted buns. Inside the burger shop, kids will learn the same procedure that real crew members use in preparing this delicious treat every day in over 460 McDonald’s restaurants nationwide. Kids will need to pay 15 KidZos for the activity. This includes the Cheeseburger that they will prepare and enjoy after the activity! “Making a McDonald’s Cheeseburger is an exciting activity in itself, but the real treat for kids and their parents is the experience and values learned while doing the activity. 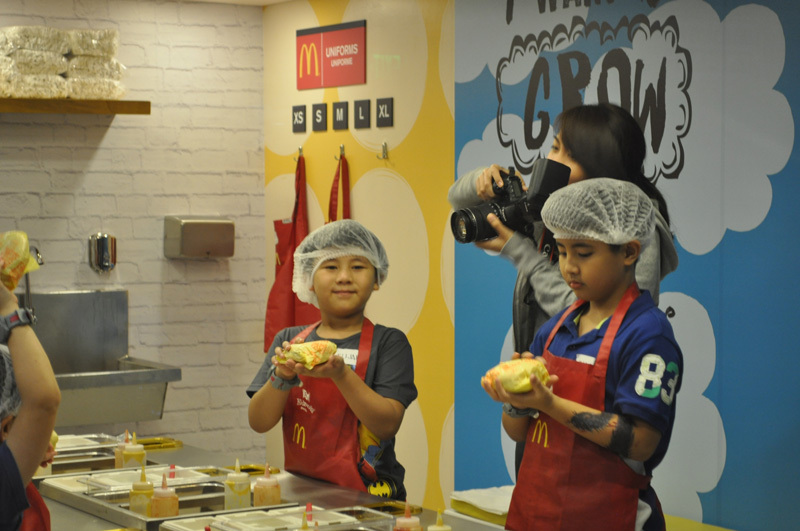 Together with KidZania, our hope is for kids to learn and appreciate the importance of hard work and responsibility, at the same time building their social skills and self-confidence,” said McDonald’s Philippines President and CEO Kenneth S. Yang. 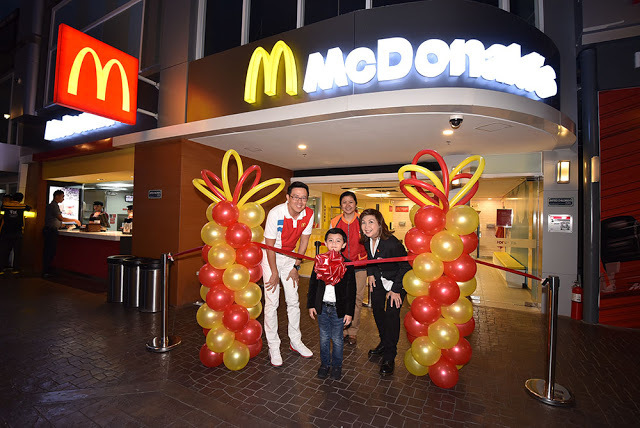 After a long round of play, kids and parents may continue their family bonding over great-tasting food at the newly opened McDonald’s Park Triangle branch located at the ground floor beside KidZania. 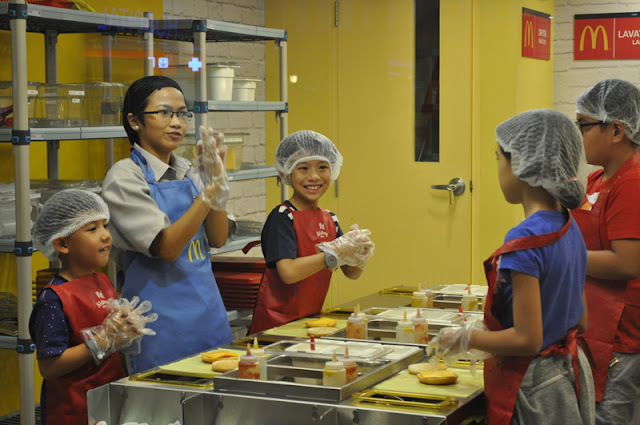 McDonald’s Burger Shop at Kidzania is one of the ways that the company champions children’s wellbeing. 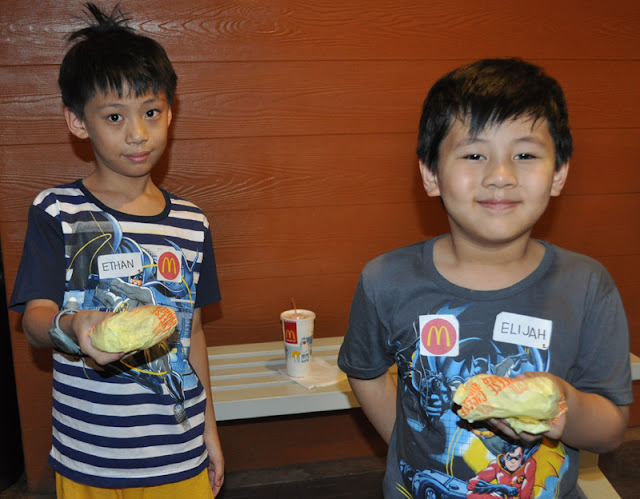 Every summer, McDonald’s holds its Kiddie Crew Workshop where kids get to experience different fun activities from art and talent workshops to on-floor activities and values formation sessions. While its annual McHappy Day provides a venue for the entire family to spend time together outdoors with a fun run. McDonald’s also provides an opportunity to make a difference in the lives of kids in need through the Ronald McDonald House Charities or RMHC. For every purchase of a McDonald’s Happy Meal, 50 centavos is donated to RMHC in support of its flagship programs, Ronald McDonald Read To Learn and Ronald McDonald Bahay Bulilit. Let your kids explore a world of possibilities at KidZania Manila located at Park Triangle, Bonifacio Global City. Open from 9AM-4PM on Mondays to Thursdays, and 9AM-2PM and 3PM-8PM on Fridays to Sundays. For more information, visit http://manila.kidzania.com. Be sure to drop by McDonald’s Burger Shop and share your photos at McDonald’s official Facebook page, https://facebook.com/mcdo.ph. KidZanians may also tag @McDo_PH on Twitter and Instagram with the hashtag #McDoatKidZania. Thanks a lot for sharing about KidZania and their Mc Donald's Burger Shop. :-) This one is great and hopefully they also have one in the province. pasok pa rin sa age limit ang anak ko, pwedeng pang Xmas gift to.....soon!